Explore categories and fees, and register online. Eight distinguished animation film directors share their experiences along complex paths to filmmaking success. The Marc Davis Lecture Series was established to provide a forum for film experts to explore the challenges of creating animation for feature films. Special thanks to Ron Diamond, Executive Producer, ACME Filmworks (Booth 863) for conceiving and curating the Giants' First Steps program, for inviting SIGGRAPH to present it and co-ordinating the speaker invitations, our collaboration with the Academy of Motion Picture Arts and Sciences as organizing partner, and suggesting the session be included as part of the Marc Davis Lecture Series. 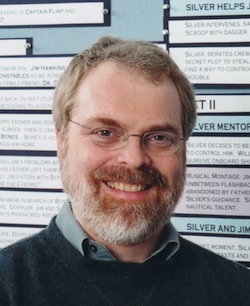 Ron Clements started in Disney's Animation Talent Development Program shortly out of high school in 1974. Mentoring under Disney Legend Frank Thomas, he became an animator on THE RESCUERS (1977), PETE'S DRAGON (1977), and a supervising animator on THE FOX AND THE HOUND (1981). He became a director on THE GREAT MOUSE DETECTIVE (1986) and, partnering with longtime collaborator John Musker, co-wrote and co-directed THE LITTLE MERMAID (1989), ALADDIN (1992), HERCULES (1997), TREASURE PLANET (2002), and THE PRINCESS AND THE FROG (2009). Clements received Oscar nominations for TREASURE PLANET and THE PRINCESS AND THE FROG. 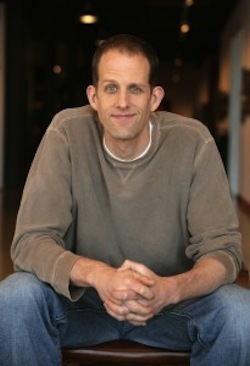 Pete Docter won a Student Academy Award for his film NEXT DOOR in 1992. Upon graduation from CalArts, he began working at Pixar where he served as an animator and co-wrote the original story on TOY STORY, served as storyboard artist on A BUG’S LIFE, and co-crafted the original story for TOY STORY 2. In 2001, he turned his attention to MONSTERS, INC., for which he conceived the original story and took the director’s chair. He received an Oscar for Animated Feature Film for UP (2009), which he co-wrote and directed. He also received Oscar nominations in the Best Original Screenplay category for TOY STORY (1995), WALL-E (2008), and UP; Animated Feature Film for MONSTERS, INC (2001); and Animated Short Film for MIKE’S NEW CAR (2002). 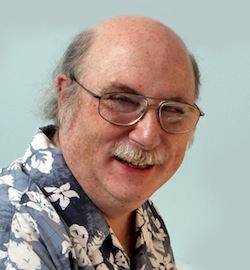 Eric Goldberg is a director, designer, and animator whose early forays into Super-8 filmmaking earned him a full scholarship to Pratt Institute in Brooklyn, New York. He began his career as an assistant animator on Richard Williams' RAGGEDY ANN & ANDY: A MUSICAL ADVENTURE (1977). After co-founding Pizazz Pictures, a commercials studio, he joined Disney and began work as supervising animator on the wise-cracking Genie in ALADDIN (1992). He went on to co-direct POCAHONTAS (1995), animate the feisty satyr Phil in HERCULES (1997), and then directed, wrote, and animated two sequences for FANTASIA⁄2000 (1999) ("Carnival of the Animals" and "Rhapsody in Blue"). Recently, he served as supervising animator of the trumpet-playing alligator Louis in the hand-drawn feature THE PRINCESS AND THE FROG (2011). Kevin Lima studied acting and theater design at Emerson College in Boston before enrolling in the CalArts Animation Program. After graduating, he took assignments designing characters and animating for the independently produced feature, THE BRAVE LITTLE TOASTER, before joining Walt Disney Feature Animation in 1987. For the following six years, he worked in one capacity or another on each of Disney’s next five animated features, OLIVER & COMPANY (1988), THE LITTLE MERMAID (1989), THE RESCUERS DOWN UNDER (1990), and BEAUTY AND THE BEAST (1991). He then took the director’s chair on A GOOFY MOVIE (1995), which was followed by TARZAN (1999) and his first live-action movie 102 DALMATIANS (2000). His most recent film, ENCHANTED (2007), combined a mixture of traditionally animated, live-action, and computer-generated characters. Currently, he is in production on an animated Bollywood musical for DreamWorks Animation. 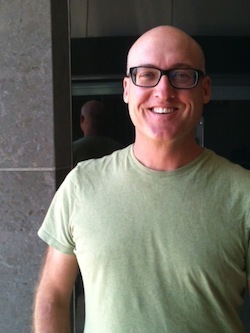 Mike Mitchell graduated from CalArts and began work as a writer and storyboard artist on feature animation films and television series, including ANTZ (1998), SHREK 2 (2004), SHREK THE THIRD (2007), episodes of SpongeBob SquarePants in 2005 and 2007, and MONSTERS VS ALIENS (2009). His live-action feature film credits include directing DEUCE BIGALOW: MALE GIGOLO (1999), SURVIVING CHRISTMAS (2004), and SKY HIGH (2005). He has directed the animated features SHREK FOREVER AFTER (2010) and ALVIN AND THE CHIPMUNKS: CHIPWRECKED (2011), and is currently in production on the animated feature TROLLS for DreamWorks. 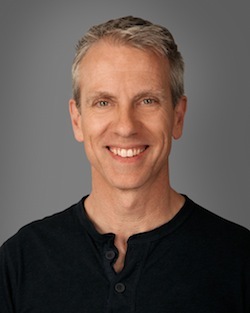 Chris Sanders served as the cartoonist for the Arvada High School newspaper before enrolling in CalArts’ Animation Program. After graduation, he went to work for Marvel Productions and then Disney Studios. He worked as a story artist on THE RESCUERS DOWN UNDER (1990), BEAUTY AND THE BEAST (1991), ALADDIN (1992), and THE LION KING (1994) before being made head of story on MULAN (1998). He wrote, boarded, and directed LILO & STITCH (2002) with Dean DeBlois and earned an Oscar nomination for Animated Feature Film. In 2006, he joined DreamWorks Animation, where he directed the Oscar-nominated HOW TO TRAIN YOUR DRAGON (2010) and, most recently, THE CROODS (2013). 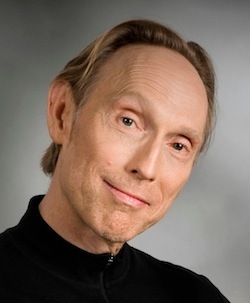 Henry Selick studied painting, drawing, photography, sculpture, and printmaking at Syracuse University. While taking an animation class, he completed his first film, TUBE TALES, which received a nomination for a Student Academy Award in 1976. He enrolled at CalArts and then began training at Disney on THE FOX AND THE HOUND (1981) but left in 1981 to sequence-direct on the cut-out animation feature TWICE UPON A TIME (1983). He then directed several stop-motion commercials and created storyboards for RETURN TO OZ (1983) and NUTCRACKER (1986). Selick was selected to direct NIGHTMARE BEFORE CHRISTMAS (1993), which was followed by the stop-motion feature JAMES AND THE GIANT PEACH (1996) and MONKEYBONE (2001), a mix of live-action and stop-motion. His stop-motion animation work can also be seen in the sea creatures of THE LIFE AQUATIC WITH STEVE ZISSOU (2004). Most recently, he served as director, producer, screenwriter, and production designer for the Oscar-nominated animated feature film CORALINE (2009). David Silverman received his MFA from UCLA in 1983. He worked in freelance illustration and animation until landing a job on The Tracy Ullman Show, where The Simpsons got their start as short segments. He animated on all 48 shorts and directed many of the first episodes, becoming Supervising Animation Director as well as producer of The Simpsons in 1992. He then went on to DreamWorks to co-direct THE ROAD TO EL DORADO (2000), to Pixar to co-direct MONSTERS INC. (2001), and to Blue Sky to do writing and storyboarding for ICE AGE (2002) and ROBOTS (2005). He returned to the series at the end of 2003 as Supervising Director and directed THE SIMPSON’S MOVIE in 2007. Silverman received an Oscar nomination for the animated short MAGGIE SIMPSON IN “THE LONGEST DAYCARE” (2012). Kirk Wise earned his first paycheck for drawing at age seven, after his mother submitted his sketch to the San Francisco Chronicle's Junior Art Champion Contest. 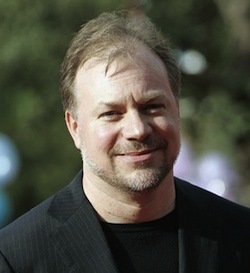 Following graduation from CalArts, he contributed animation and storyboarding to various projects, including the Disney animated features THE GREAT MOUSE DETECTIVE (1986) and THE BRAVE LITTLE TOASTER (1988). He worked with fellow animator Gary Trousdale to receive story credits on the features OLIVER & COMPANY (1988) and THE LION KING (1994). The two would go on to direct Disney's BEAUTY AND THE BEAST (1991), THE HUNCHBACK OF NOTRE DAME (1996), and ATLANTIS: THE LOST EMPIRE (2001). More recently, he served as story consultant on the Sony Pictures animated feature OPEN SEASON (2006), oversaw the early development of CLOUDY WITH A CHANCE OF MEATBALLS (2009), and served as an executive producer on the Disney nature documentary OCEANS (2010). 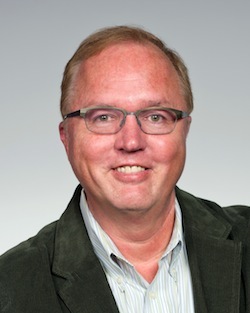 Randy Haberkamp is the Managing Director of Programming, Education and Preservation for the Academy of Motion Picture Arts and Sciences, where he has direct oversight of the Academy’s Margaret Herrick Library, the Academy Film Archive, and its public and educational programming initiatives. 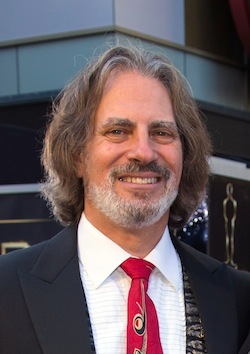 He received his Masters in Motion Picture Production from UCLA and worked for the CBS Television Network for 14 years, culminating as Director of Specials and Feature Films. 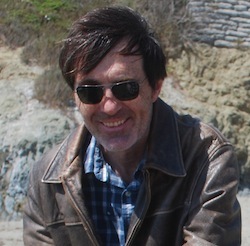 He has worked as a freelance television producer and as a talent agent, and is the founder of The Silent Society, a silent-film preservation and appreciation group that has presented and preserved silent films in Los Angeles for over 25 years. He is originally from Ohio.